- If you're a regular follower of this blog you know I'm a sucker for any pretty flower. I have photographed dozens of them for my daily blog posts over the last three and half years. This one caught my eye, although I have no idea what it is. Canon G1X, 1/400 sec @ f/8.0, ISO 200 in macro mode. I am not positive but my first thought was chrysanthemum. 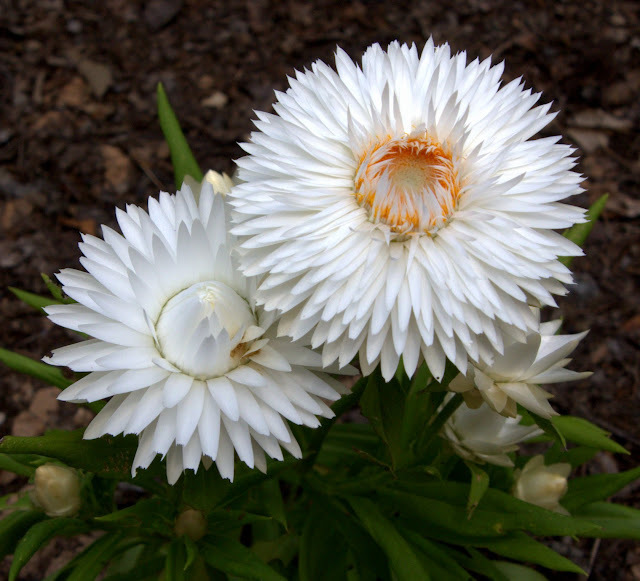 Thanks to Janet, the Queen of Seaford, I know this is a strawflower.